Two sisters in B.C. are going public to expose what they see as a big hole in the health system after a drug addict was able use their identities to get thousands of taxpayer-funded prescription narcotic pills. Sandra Adamson, a cook from Surrey who works for the RCMP, contacted CBC's Go Public because she believes the systems meant to detect and stop prescription abuse aren't working. "I want the doctors held accountable and I want the pharmacists held accountable — and I want them to start red flagging stuff like this when it comes up," Adamson said. "Don’t you have a clue when somebody is addicted?" Records show the huge drug-shopping spree under the Adamson sisters' names spanned five years, while no doctor or pharmacist put a stop to it. "They just kept feeding the habit," said Sandra. 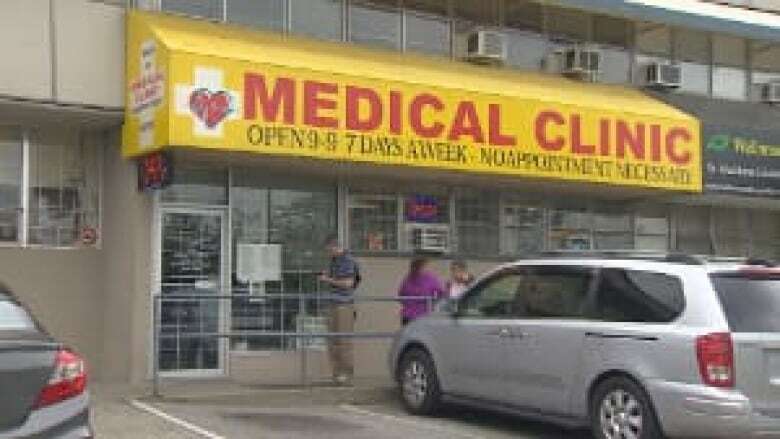 The prescriptions were written by several physicians and the pills dispensed at small and large pharmacies around B.C.’s Lower Mainland, including a London Drugs, a Wal-Mart and several Shoppers Drug Mart outlets. "Now we know how easy it is to use somebody else’s identity to get any kind of prescription drugs they want," said her sister Lisa Adamson, who works as a road construction flag person and lives in Burnaby. The sisters’ records show 260 individual prescriptions were dispensed — an average of 90 pills per time — most for 20 mg (per pill) of the highly addictive narcotic Oxycodone. In all, 23,000 narcotic pills were handed out — more than 200 mg per day — between January 2007 and January 2013. 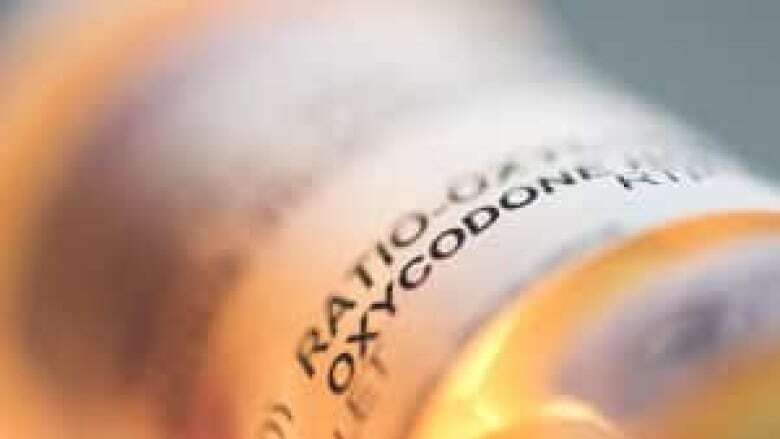 Medical experts suggest anyone who consumes 100 mg a day or more of Oxycodone is likely addicted. 200 mg per day is considered an upper limit dose, except for very ill cancer patients. In this case, the drugs were prescribed for numerous vague ailments, including back pain, neck pain, sprains and muscle pain. "You can tell just by looking at the paperwork here that she’s an addict. And why would they keep supplying her with it?" said Sandra. The sisters both have drug coverage through BC Pharmacare, which means the drugs and doctor visits cost taxpayers an estimated $30,000. 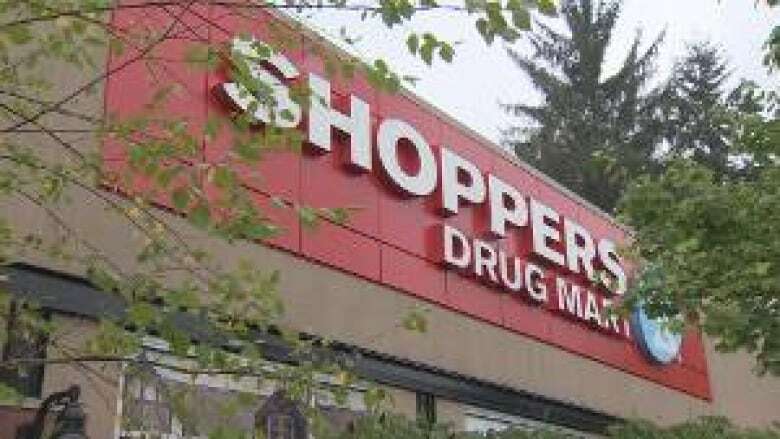 It didn’t stop until the alleged impersonator was charged with stealing a bottle of 208 Oxycodone pills last fall at the counter of a Shoppers Drug Mart in Port Moody, B.C., after the prescription had been filled. "If there hadn’t been the theft involved, she would still be using my name and still doing it," said Sandra. 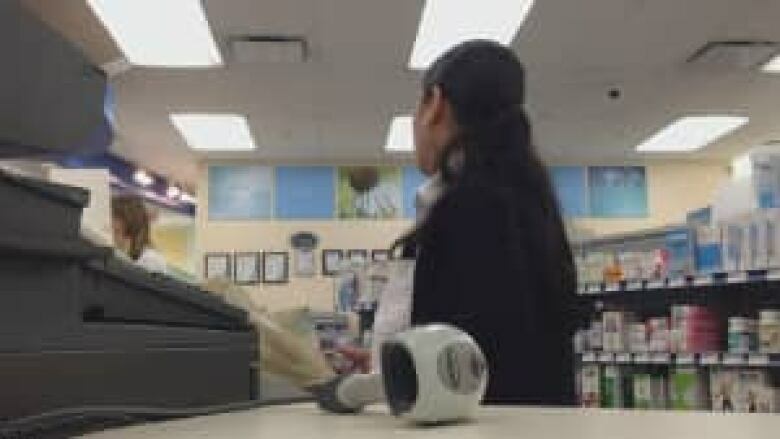 That prescription was under Sandra’s name, but Port Moody police said they quickly determined she was not the woman on the Shoppers surveillance video. When police showed her the tape, Sandra recognized the woman right away — her old friend Audrey Gettings, whom she had not spoken to in years. Gettings has since been charged with theft and personation, the Criminal Code's term for impersonation. There is a warrant out for her arrest. Police said that even though Gettings had not been to that Shoppers location before, she was not made to show ID or a medical card — and the pharmacist filled the prescription anyway. The pharmacist later told police the woman claimed she’d lost her wallet. "Especially at a large chain, you would think that they would be more on the ball…and actually say…'Do you have some form of ID?'" said Sandra. "We’ve seen the video surveillance. They didn’t even ask her. She just walked up. Handed the prescription. They punched it up in the computer." Professional standards require all pharmacists to ask for ID when they don’t know someone. 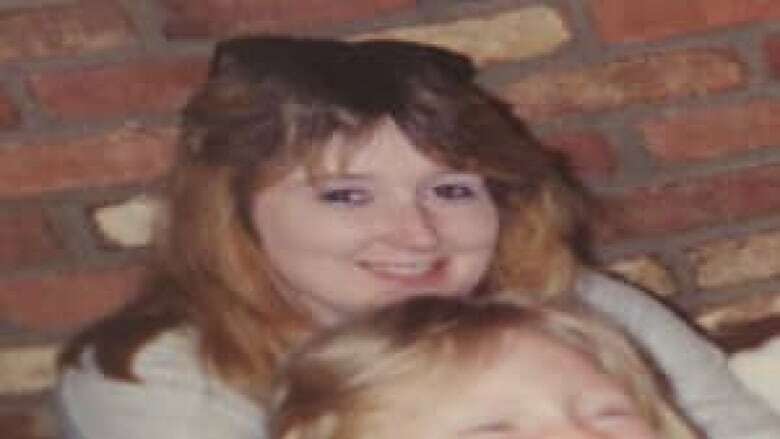 After the theft, the sisters said they put two and two together, because Lisa had been questioned by police about a theft of a doctor’s bag and prescription pad a year earlier. She had no idea what police were talking about. 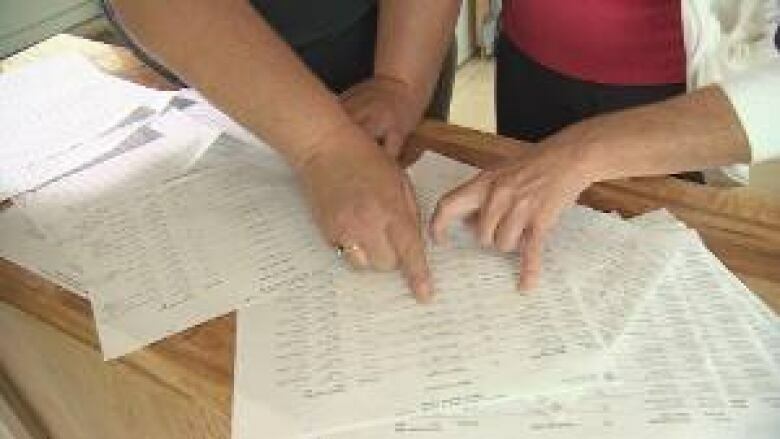 The sisters realized their old friend knew their information — enough to get their personal health numbers (PHN) from any pharmacist willing to look it up. "All she had to do was use my full name, my date of birth and my address and say, ‘Oh I misplaced my care card’. Because you are already in the system, they just type it in and OK, yup, no problem," said Lisa. The imposter could then give that PHN at any doctor’s office or pharmacy to access services, claiming she lost her ID. "How many other victims are out there whose names have been used so other people can get prescription drugs to feed their habit?" said Lisa. "There might be a lot of people out there that are actually getting these prescriptions in other people’s names so that they can sell [the pills] on the street at 20 bucks a pop." When Port Moody police realized the scope of what was happening, they asked the College of Physicians and Surgeons of B.C. to send a bulletin, warning all doctors about Gettings. The college refused, citing privacy restrictions. The sisters requested their government doctor and pharmacist billing records. They reveal how several pharmacists — many at Shoppers locations — viewed the history of the drug shopping repeatedly, yet failed to red flag the sisters’ accounts to put a stop to it. In B.C., pharmacists or doctors can report someone to Pharmacare, to flag them as a "restricted user", which limits them to one doctor and/or pharmacy. "But none of them did that. They just kept filling them," said Sandra. The records also show several prescriptions were filled when there was no corresponding doctor visit, which suggests those prescriptions were forged, likely on stolen prescription pads. Dr. Helen Karimirad and Dr. Peter McDermick were among the top prescribers. Karimirad works at a walk-in clinic in North Vancouver, and McDermick is now retired. Between the two doctors, records show they prescribed almost 4,500 pills in two one-year periods. They both declined to comment. Dr. Michael Davidson from North Vancouver is also prominent. He wrote prescriptions for 2,400 pills in all for the patient he thought was Lisa between April 2010 and August 2011 at a walk-in clinic. He is also the doctor who had his bag stolen. "[Drug addicts] can fool us so easily just by their techniques," he said. Davidson said he sees 30 to 40 patients per day when he works at the walk-in clinic, so he doesn’t have time to deal with addicts properly. "That’s the way the system is these days — and the volume at walk-in clinics is horrendous. The doctors want to be busy — they get paid for the number they see," he said. "We probably should just say, 'No' — and just not deal with those people." Records show, at one point, Davidson prescribed 80 Oxycodone pills to the woman posing as Lisa, then another 60 two days later. "Each time we see a patient we have a page to complete the history and say what we have done but there is no previous visit history. We have no file," he said. "All we need is a Medicare number, their date of birth and a name and an active [personal health] number…we don’t know who anybody is." Susan Prins, spokesperson for B.C.’s College of Physicians and Surgeons, indicated practices at walk-in clinics are a concern. "The College expects physicians who work in walk-in clinics to provide the same standard and quality of care to patients as physicians who work in traditional office settings, including conducting a review of a patient's Pharmanet profile (when appropriate) prior to issuing any prescription," she said. "This type of criminal activity is widespread." Davidson thinks the root of the problem is at the drug stores, where pharmacists can see all the records. "It would be so easy to limit access to those narcotics at the pharmacy level that maybe that’s the place that it should happen" he said. As a result of Go Public's inquiries, Shoppers Drug Mart says it is investigating how this could have happened in its stores. "We are conducting an internal review…and we will be reinforcing the professional standards of practice and ensuring that ID is presented when first setting up a profile," said Shoppers spokesperson Tammy Smitham. "Our initial review of the records has shown that in many cases our pharmacists reached out to the physicians who prescribed the medications to verify that they were legitimate and they were given the go-ahead in those cases." The College of Pharmacists said it is very concerned about this case. "We will absolutely do the full investigation. We are even conducting part of the investigation now based on the information that you have provided to us," said deputy registrar Suzanne Solven. "It’s actually quite scary how frequent it is. It’s not just isolated in B.C. and it’s not just this one woman," said Neil Calder, an ex-addict from rural Nova Scotia. 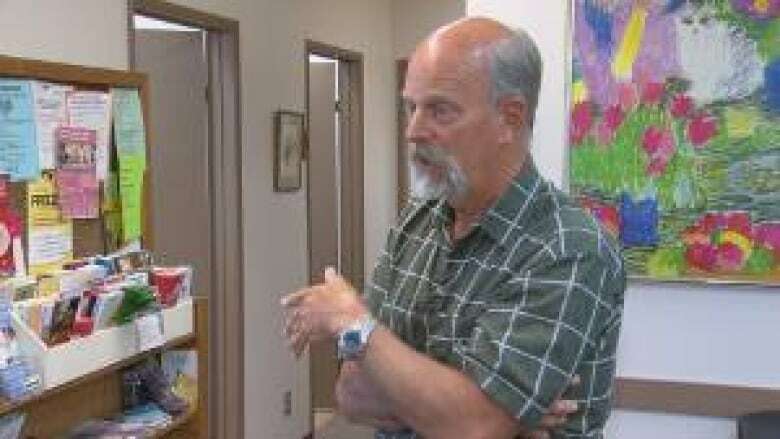 Calder, who helps the Canadian Centre on Substance Abuse with research, said addicts have told him about various schemes to steal identities and get prescription narcotics. "There’s so many ways that people actually steal people’s identities and people’s health cards," said Calder. "People are dying from this. People are dying from doctors being duped or conned. People are dying from abusing these drugs and there has to be a solution." B.C. recently brought in photo ID cards, as Ontario has. Sandra Adamson points out, they will only work if pharmacists and doctors insist on seeing them. "Who would think that somebody would access your care card to go to the doctors and get prescriptions?"